If you love your smartphone or your smart thermostat because of all its available options and capabilities, then you're probably equally excited about the continued development of the Internet of Things (IoT). Whether you've been following each development, or you've only heard the term in passing, the IoT has the power to redefine your everyday life. Let's take a more in-depth look at the IoT, what it is, and why it should matter to you. The IoT is defined as "intelligent interactivity between humans and things to exchange information and knowledge for new value creation." This computing concept is aimed at linking everyday objects and appliances to the Internet, which allows these items to self-identify and recognize other items and devices around them. 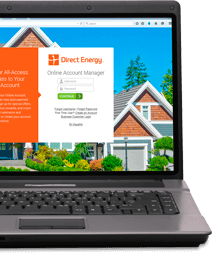 This increased communication will allow technological devices to talk to one another through downloads and status updates, with the goal of improving the efficiency and usefulness of every device in your home. In order to communicate with the things around it, each device would be embedded with specialized electronics, sensors, and/or software supporting this communication. This creates the potential to turn any device or item into a "smart thing," i.e., smartphones or thermostats. 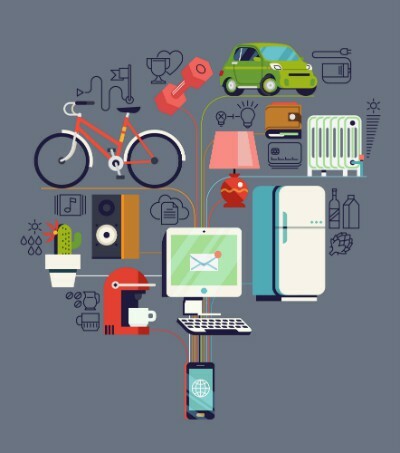 How Does the Internet of Things Affect Me? Much like the Internet itself or the smartphone, the IoT is expected to revolutionize the world we live in. Experts estimate that by the year 2020, more than 50 billion things will be connected via this technology. Keep in mind the world population is expected to be approximately 8 billion in this same time period. By 2022, the average household will own more than 50 Internet-connected devices. The IoT will improve the daily lives of consumers by helping the connected devices adapt to and recognize a person's needs. For example, should you walk into a room, the room itself will recognize your presence and adjust the blinds, lights, and temperature accordingly. Even pictures or wall color could be adjusted to match your preferences. Likewise, it will make your home more energy efficient by turning off devices when you are not in the room. In the bedroom, your mattress will be able to sense if you slept poorly and communicate this information to your calendar, adjusting the alarm clock as it checks traffic or weather reports. Possibilities for personalization exist in every room, making the IoT a very attractive prospect. The IoT's most important potential may lie in health care. The technology could be used to monitor your health and manage your prescriptions by scheduling an appointment with your doctor when you're running low. Doctors will be able to use this technology to review whether their patients are taking their medication as prescribed. They could also use it to check a person's blood pressure and/or sugar levels without an in-person appointment. The IoT offers exciting potential for people everywhere, but issues like energy use and security must still be addressed. Finding solutions to these obstacles will open up limitless possibilities for the IoT and establish this technology as one of the defining ideas of tomorrow's business and personal-life climate. Ultimately, unless you plan to be a Luddite or hermit in the years to come, it's important to understand the Internet of Things and what it will mean to you in the future.